A Shropshire solicitor has reported a dramatic increase in ‘private’ divorce hearings in the county. 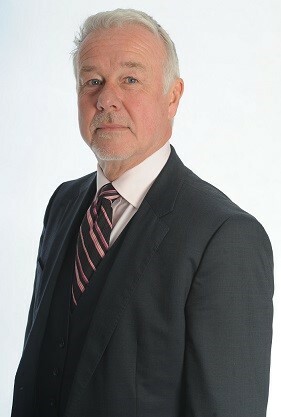 Robert Adams, who specialises in family law with Wace Morgan Solicitors of Shrewsbury, says that delays caused by court closures and cuts to Legal Aid, forcing more couples to represent themselves, had led to the huge rise. “Couples are resorting to arbitration, a private hearing where judges or trained arbitrators make a decision which is binding in the same way as a court order,” explained Mr Adams, who is a trained family arbitrator. “The use of arbitration makes complete sense. It is quicker than the hugely-overstretched court system, more convenient and private because the parties choose the time and place, more civilised because it is more informal and cheaper because it takes place earlier, before costs have rocketed,” he explained. “The increase has been sudden and marked in Shropshire and more couples are entirely comfortable with the idea of paying to expedite their divorces in much the same manner as they might use private health care. For them arbitration offers more certainty both in terms of scheduling and the outcome. He went on to say that in his experience, a divorce case involving financial arrangements which could take more than a year through the courts, could be dealt with within three to six months through arbitration. “The delay in having cases dealt with by the courts is sometimes responsible for the parties becoming more frustrated, which in turn makes the prospect of agreement more unlikely. “With more court closures to be announced in the very near future, the situation within the court system is unlikely to become any easier and dealing with cases on a private basis by private hearings or arbitrations may well be the answer for many couples,” he added.